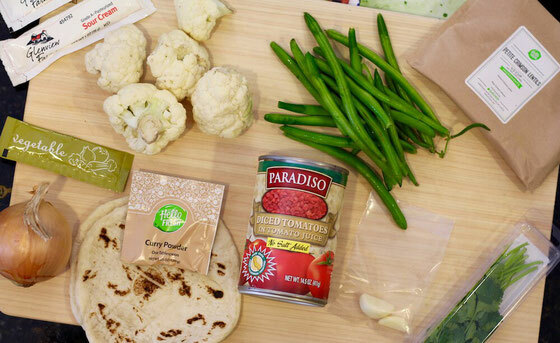 Looking for a shortcut to healthier, homemade meals—and a way to mix up your weekly eats? Consider a meal delivery service. 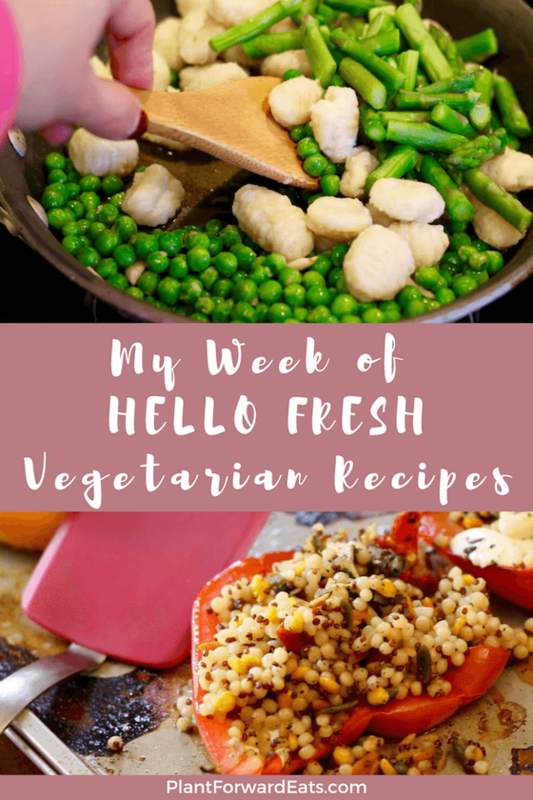 Disclosure: This blog post is sponsored by Hello Fresh. All opinions are my own, as always! Confession: I don't usually use recipes. This is both a blessing and a curse. Because while I'm not married to an ingredient list for my meals, I often feel like I have to be "on" while cooking—meaning that if inspiration hits mid-meal-prep, then I share my attention with my note pad (I must write down those recipe notes!) and my camera. I had never tried a meal delivery service, so I was pretty psyched to receive Hello Fresh meals. I opted for the vegetarian meal plan; and on a Tuesday, three days of meals for two arrived in an insulated box. The only things I needed from my own kitchen were cooking tools like a cutting board and a chef's knife and minor ingredients like black pepper, salt, olive oil, and butter. The meals were pretty delicious, but I have to admit my favorite part was having easy directions to follow, having all the ingredients pre-selected and delivered (to make mealtime a no-brainer), and having yummy meals to serve my boyfriend, Lawrence. 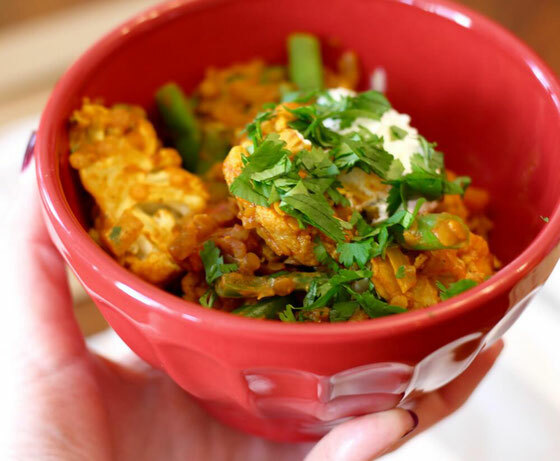 The first meal I made was Warming Cauliflower and Lentil Dal with Green Beans and Toasted Naan Flatbreads. You can see the contents of the ingredients box here. The recipe card told me that this dish was going to take just 35 minutes to prepare, and it was spot on! I like that the meal provided plenty of plant-based protein from the lentils—and also a good amount of veggies. I found that the portions were on the larger side, so I separated this into three meals. Lawrence isn't crazy about spicy food, so that meant three servings for me (win!). In fact, one is currently in the freezer, and I may defrost it for lunch today. Next up: Golden Grain-Stuffed Peppers with Sundried Tomatoes and Zucchini. 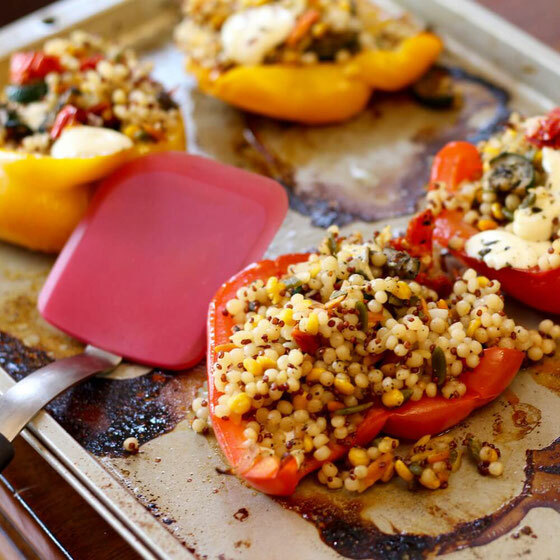 I have to admit that as much as I cook, I'd never made stuffed peppers, so I had a lot of fun with this recipe. I'll definitely be incorporating more stuffed peppers into my future. The golden grains were tasty and a combo of couscous with orzo, split chickpeas and quinoa—and the melted fresh mozzarella was a treat. I'm a sucker for fresh herbs, too, and loved the taste of fresh parsley in this recipe. Because I work from home many days, I decided to take a longer lunch break and whip this dish up in the middle of the day for a nice home-cooked meal. 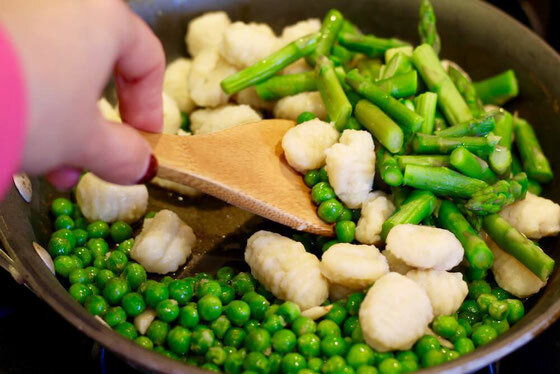 The last meal in my Hello Fresh vegetarian meal box was Spring Greens Gnocchi with Asparagus, Peas, and a Creamy Tarragon Sauce, which combined asparagus and peas (spring greens!) with gnocchi and a creamy tarragon sauce of Parmesan, butter, and sour cream. It was a super tasty dinner, and the combo of fresh garlic, fresh tarragon and walnuts was pretty stellar. This was also the quickest recipe, at just 25 minutes. I used a tad bit less butter than the recipe calls for and served it with a hardboiled for a little extra protein. So there is my week of Hello Fresh meals! The recipes were super fun and easy for any level of culinary experience. They're also a fun date-night activity! While Lawrence's schedule didn't align with my cooking for this box of meals, he helped me make the meals in another Hello Fresh box, and we always have a lot of fun spending time in the kitchen together. 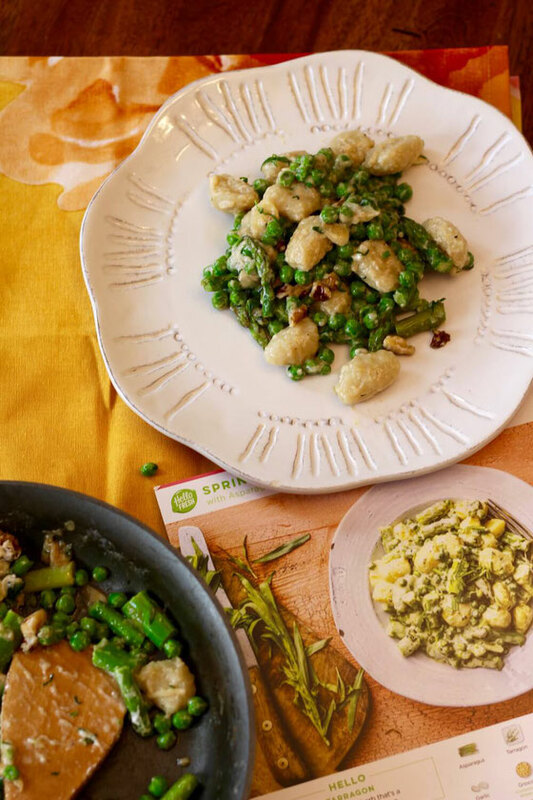 Want to give your own Hello Fresh menu a try? Use the code FRESHFANSRD35 for $35 off your first box! What are your thoughts on this topic? Have you ever tried a meal delivery service? What did you like about it?